Staying true to our commitment to continually improve our products, we are proud to introduce the Levelogger Edge. Its enhanced features definitely give it an "edge" over previous Levelogger versions. It features improved temperature compensation, reduced thermal response times, high-accuracy of 0.05% FS, and 24 bit resolution with the durable Hastelloy pressure sensor. The Barologger Edge provides the fastest and easiest method for barometric compensation. Linear compression sampling allows up to 120,000 readings of pressure and temperature, displayed as temperature compensated level, to be saved in memory. 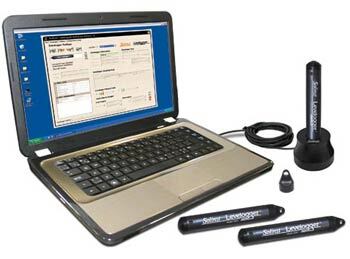 The friendly and streamlined software provides more sampling and data compensation options, including barometric compensation of multiple Levelogger files simultaneously. Battery life is 10 years, based on recordings every minute. The faraday cage design protects against lightning and power surges, and the Titanium based coating gives extra corrosion resistance.